Although much of the detail has previously been published by Caribbean News Now, the latest report by features editor, Mazhar Farooqui, entitled "Caribbean citizenship dreams in jeopardy?" includes new, albeit self-contradictory, attempts at explanations by the head of the St Kitts and Nevis Citizenship by Investment Unit (CIU), Les Khan. 'Let me say this, nobody will be stripped of their citizenship," he said, without explaining why he thinks a civil servant is able to bind or limit an elected government to such a position, contrary to the relevant statutory regulations. "The SKNLP government will review all citizenships granted during the period when our citizenships were being undersold and subjected to illegal practices including fraud, etc, as was reported during the Timothy Harris regime. As long as these atrocities have been verified, the SKNLP government will be duty bound to take the necessary actions including suspending and withdrawing the use of the related passports under the relevant laws and regulations. "The SKNLP government shall return credibility and trust to our economic citizenship program so that holders and participants will be proud of it." When asked by Gulf News to explain how overseas agents were selling St Kitts and Nevis citizenships way below the legitimate price, Khan simply said, 'You [should] pose that question to the agents," thus again offering no assurance that the CIU is actively policing this illegal practice, as it is also empowered to do under the regulations. 'The funds are held in escrow accounts in St Kitts and we ascertain everything before issuing a citizenship certificate,' he said. However, notwithstanding his assertions to Gulf News that investor safeguards were already in place, Khan admitted at another meeting during the same recent visit to Dubai that "the regulations weren't strong enough to ensure that payouts from escrow were based on construction levels". Referring to a statement by attorney general Vincent Byron at the same meeting with economic citizens and agents in Dubai that the government is taking the necessary steps to strengthen the legislation governing the operation of real estate escrow accounts, Khan stated that the new legislation will significantly strengthen the country's citizenship programme by paying particular attention to construction and the payout of funds in escrow. "It will ensure that any client purchasing a real estate option, the purchasing sale agreement must always be at the face amount of the investment – that being either the $200,000 or $400,000. An escrow agreement must be in place for the same amount. In the new legislation all real estate transactions will have to go into escrow and then released from escrow upon certification of the various stages of completion of the project. So basically, the escrow agreements will have payout stages,' Khan explained. Khan said that the new legislation will tighten the government's position and would 'ensure that applications placed for real estate would be used for construction. This is different to what was done in the past". "Earlier, in November, Dr Douglas, former PM of SKN accused the current administration of making the CBI programme less transparent and less accountable and also noted that the government has failed to implement recommendations including establishing an independent commission for oversight of the CBI programme. 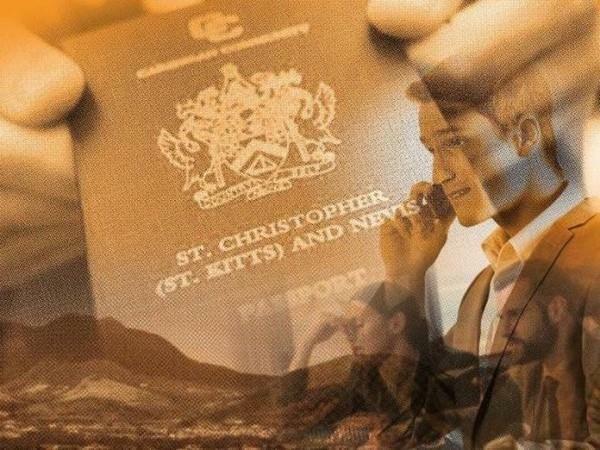 Later in January, Dr Douglas promised when elected he will revoke the citizenship of any applicant who is found to been illegally granted St Kitts and Nevis CBI. It appears the three consultancy firms involved in the above are still operating under government license and are not been investigated." Meanwhile, the local service provider unwittingly used by overseas citizenship agents Savory & Partners to obtain a genuine approval letter from the CIU, which they (Savory) then used to forge a fraudulent document, has told Caribbean News Now "emphatically and categorically that it has no involvement whatsoever in any fraudulent activity and was not involved in any way with the altering of a St Kitts-Nevis government issued approval letter." The firm said it "wishes to denounce the apparent abhorrent and unsavoury acts that are being perpetrated against the St Kitts and Nevis CIP by a handful of bad actors", adding that it "awaits the CIU and the government in taking decisive and robust action against these less than savoury actors". Unfortunately, the local firm in question may have to wait a long time for such "decisive and robust action" by the government since, as noted, the CIU has been aware of the indisputably fraudulent activity by Savory for some three months but has yet to take any steps to suspend or terminate them from participating as authorised overseas agents under the CIP, pending the outcome of the criminal investigation it claims to have initiated and also in the light of evidence that Savory has been actively involved in offering St Kitts and Nevis citizenship at illegal discounts.